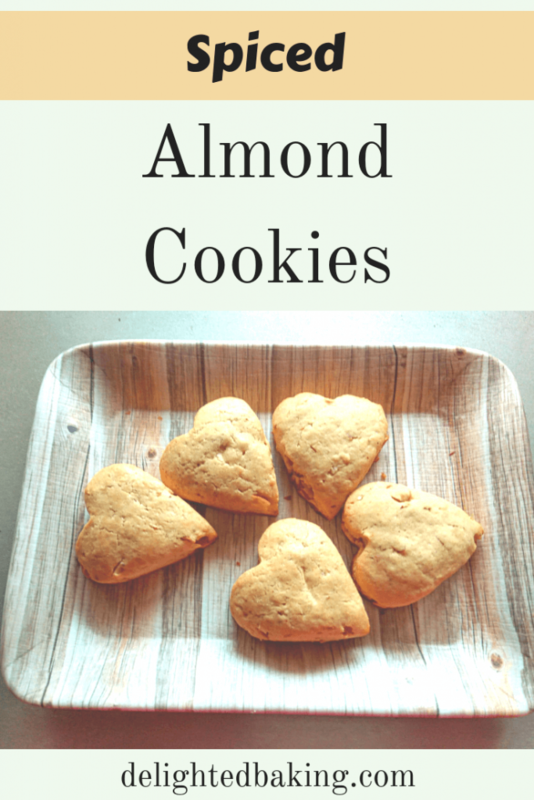 How to make the best eggless spiced almond cookies? 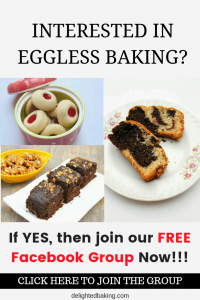 You are here: Home / Eggless Baking / How to make the best eggless spiced almond cookies? Spiced Almond Cookies are perfect for Christmas baking. Enjoy these traditional spiced cookies with a cup of coffee or tea. Christmas is coming soon and it’s a popular practice to bake cookies on Christmas. This spiced almond cookies is a beautiful recipe. It’s a blend of some amazing ingredients and you will love it. As the name suggests, these cookies contain almonds. I have added finely chopped almonds. If you want you can use equal amount of almond powder (Just add a handful of almonds in the blender jar and blend it into a fine powder). Now let’s come to the spice part of the recipe. This recipe contains some of the tastiest spices. It has nutmeg powder, cinnamon powder, ginger powder and Cardamom powder. These spices give this cookie a different flavour. The process of making these spiced almond cookies is quite simple. As we have to use powdered sugar in this recipe, we will firstly powder the sugar in a blender. The next step involves mixing the powdered sugar and butter together. remember to use room temperature butter. So firstly we will whip the room temperature butter for a minute using a hand blender or a stand mixer. Then add powdered sugar and whip the butter and powdered sugar for two minutes. Now we will add the various spices used in the recipe. the spices includes nut meg powder, ginger powder, cardamom powder and cinnamon powder. We will also add vanilla essence to this mixture. And we will mix this using a spatula. The dry ingredients for this recipe include all purpose flour and baking powder. So in a separate bowl sieve all purpose flour and baking powder. Add chopped almonds an mix so that the almonds get properly coated with the all purpose flour. Now we will add the dry ingredients onto the butter + sugar mixture and will mix all the ingredients together till a soft cookie dough is formed. The next step is to shape the cookies. 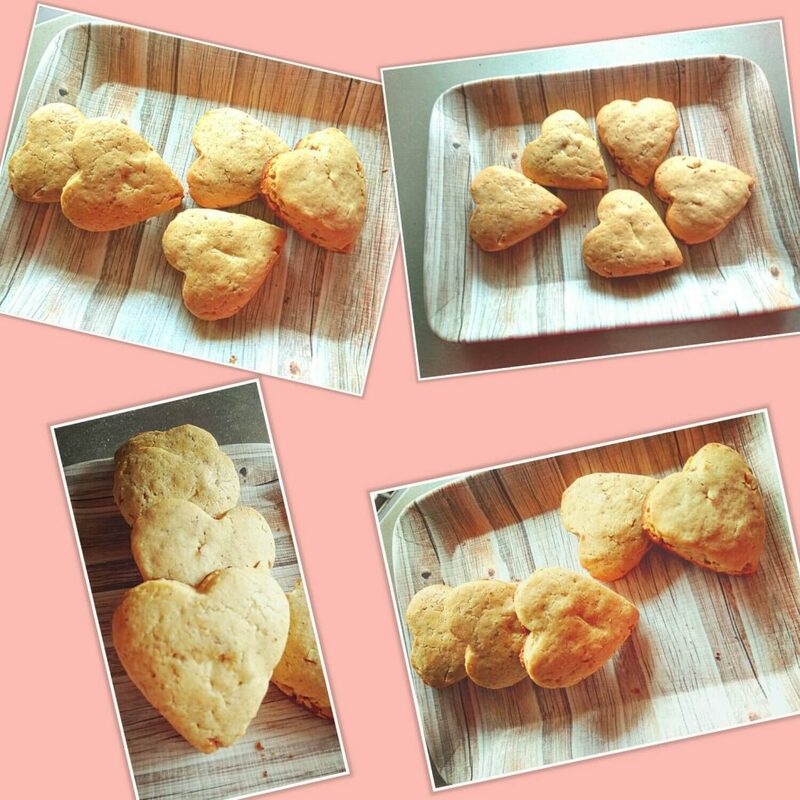 I have made heart shaped cookies. For this roll out the cookie dough and using a heart shaped cookie cutter cut out the cookies. If you do not want to make heart shaped cookies then you can imply make small balls using the cookie dough flattened each ball a little bit and place them on the baking tray. This would give you the regular round shaped cookies. Spiced Almond Cookies are perfect for Christmas baking. 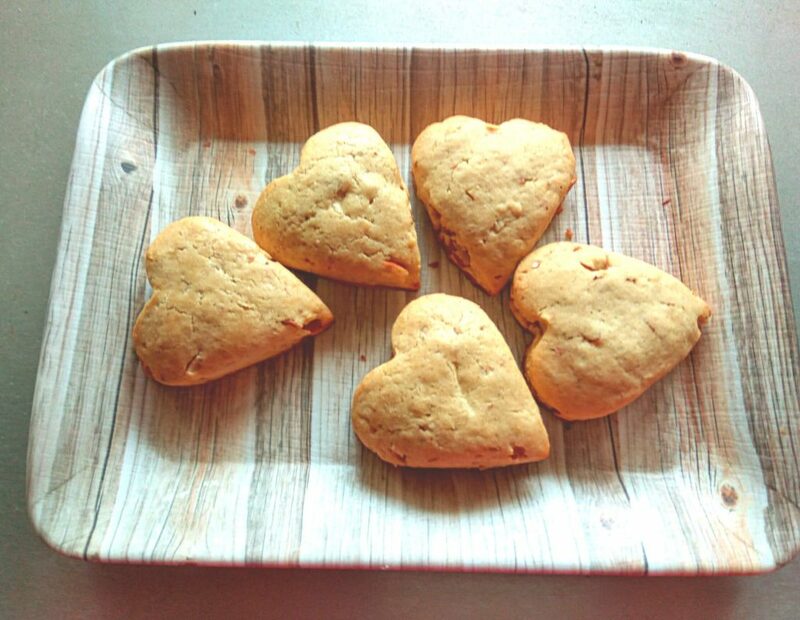 Enjoy these spiced almond heart cookies with a cup of hot chocolate or coffee. Take sugar in a blender and powder it. Now add powdered sugar and whip for 2 minutes. Now add vanilla essence, nutmeg powder, ginger powder, cardamom powder and cinnamon powder. Mix nicely with a help of a spatula. In a separate bowl, sieve maida (all purpose flour) and baking powder. Add chopped almonds and mix so that the almonds gets properly coated with maida (all purpose flour). Add this mixture into the butter+sugar mixture. Mix nicely and form a dough. You can either form small balls using this dough and flatten these. Or you can cut small hearts as I have done. Bake these at 180 C / 350 F 10-12 Minutes. I hope you will try this recipe. Let me know how it turned out for you.